Editor’s note: NerdWallet’s Step by Step series gives small-business owners a behind-the-scenes look at the loan application processes for various online lenders. We show you what you can expect screen by screen as you submit your application. Traditional lending to small businesses tanked after the 2008 recession and has not fully recovered. 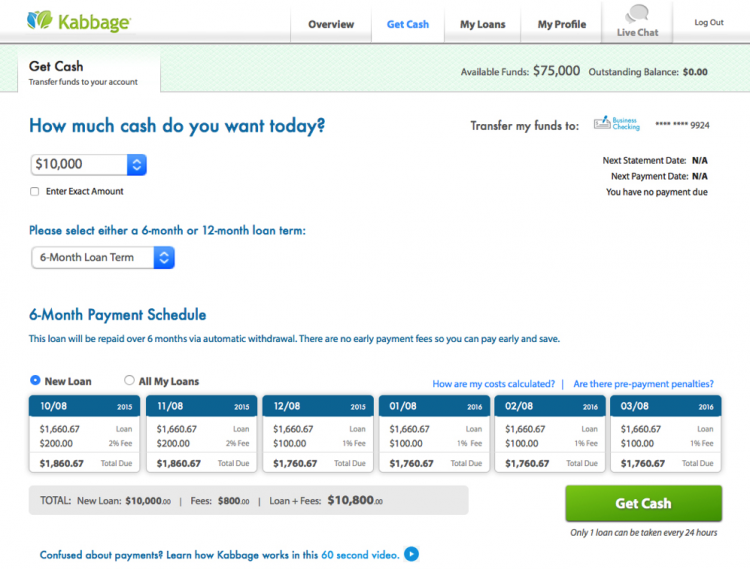 Kabbage is among the online lenders that leaped into the financing void. The lender offers small-business owners lines of credit up to $150,000 to help boost working capital, those everyday funds needed for payroll, inventory and more. Kabbage also came up with a nontraditional approach to reviewing your finances that shifts the focus away from your credit score. That’s a plus for borrowers who fall into the “bad credit” basket. 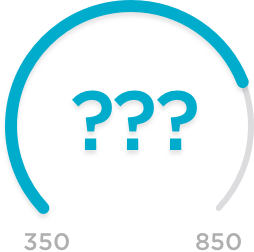 Many lenders want a borrowers to have a certain FICO score, but Kabbage doesn’t require a minimum personal credit score to apply. The lender relies on an alternate source of data, such as a bank account, during the underwriting process to gain a broader understanding of your finances. This approach, combined with term loans repaid in six or 12 months, makes it an option when you need quick cash. The convenience, however, does come with a hefty price tag. Here, we dissect the application process. 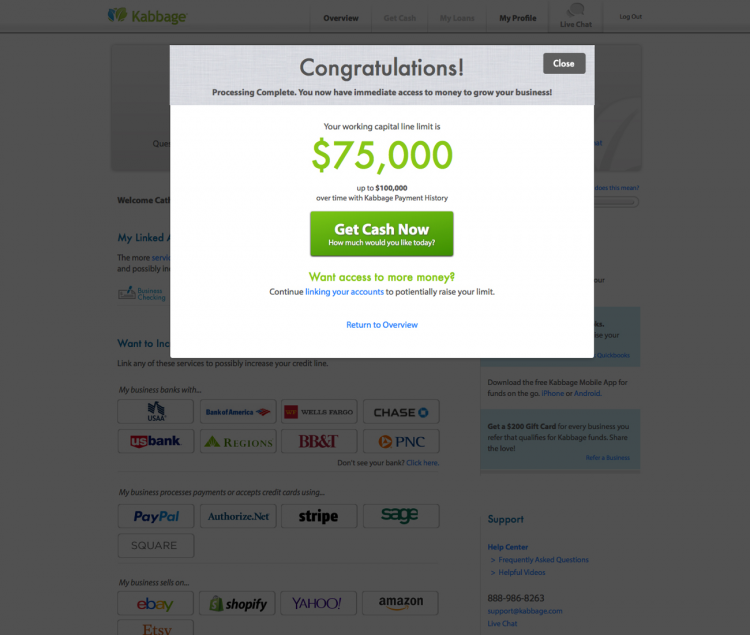 For more information about Kabbage loans, read our review. Data link: You will have to link to a business bank account, bookkeeping software or payment platform and agree to a consumer credit check, which will show up as a hard inquiry on your credit report. *Exceptions are spelled out below. At this time, you also are prompted to make an account. The second step in Kabbage’s application process sets it apart from other lenders. The goal is to “streamline the process by allowing customers to link to a data source,” says Troy Deus, vice president of customer experience at Kabbage. The company encourages you to link to a business bank account, bookkeeping software or a payment platform that will display the most revenue transactions, which will help you qualify for the highest possible line of credit. Once you’ve been approved, you can continue linking accounts. By further demonstrating your company’s financials, you might increase your credit line later. Kabbage also takes into account alternative demonstrations of a company’s success; initially you will connect financial records, but later you can connect your Facebook and Twitter accounts to show how often you interact with your customers. 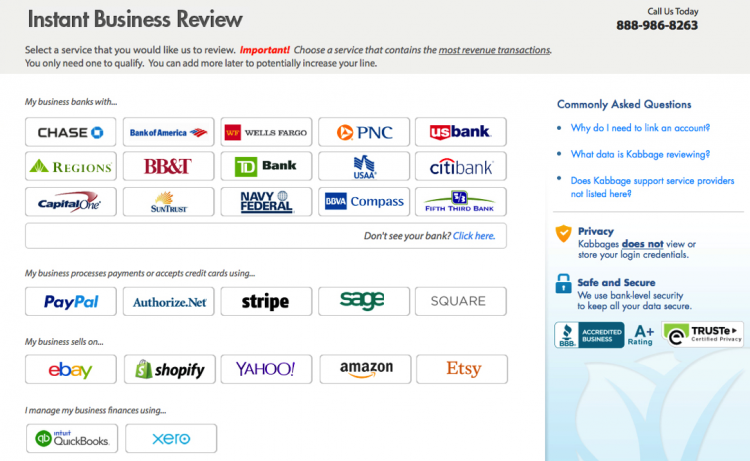 After deciding which bank account or software you want to use, you sign in directly to that account. Kabbage takes security measures to prevent its employees from viewing or storing your log-in information. Once you’ve connected your account, Kabbage will monitor your revenue stream. If the lender notices an increase in revenue over time, Deus says, then your line of credit may automatically increase. At this point, you also have to agree to a credit check. This is a hard inquiry and will affect your credit score. 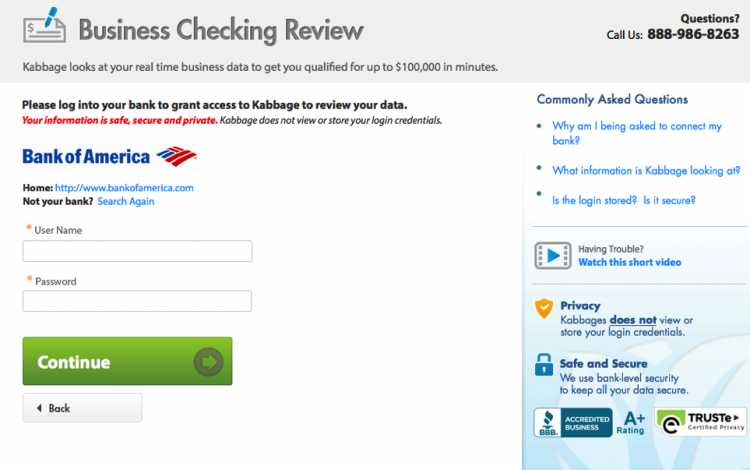 Kabbage decides your financial fate within minutes, letting you know whether you qualify and, if so, for how much. Deus estimates that 95% of applicants are given a decision digitally. However, if the company is having trouble identifying you or your business, or if there are lingering questions, you may have to talk with a customer service agent or accept micro-deposits to validate your account — all of which could add days to your application process. The last step in the process is choosing how much of your approved credit line you’d like to withdraw and your loan term length. 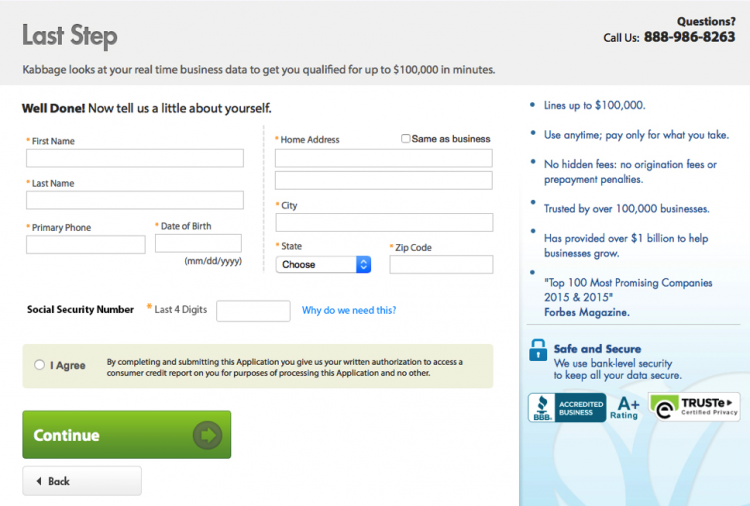 Kabbage offers six- or 12-month term loans, although 12-month terms are available only if your loan is $5,000 or more. 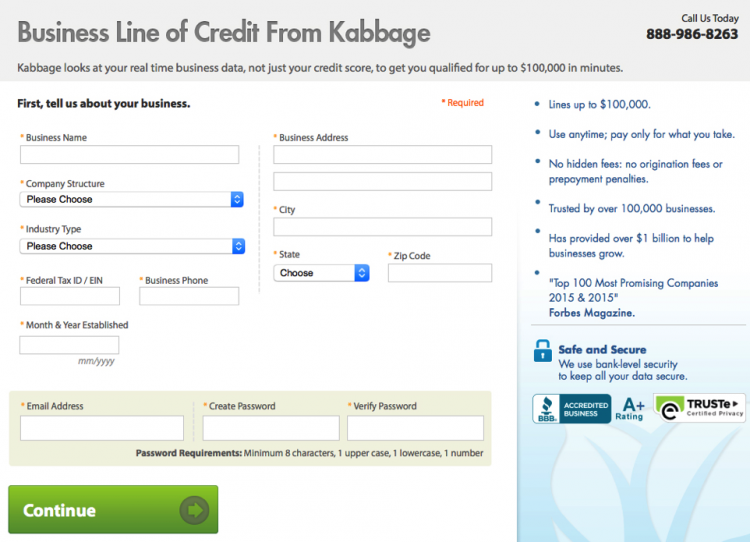 Kabbage offers lines of credit up to $150,000, but you can customize how much capital you’d like to access and when. You’re allowed to borrow against your credit line once every 24 hours (without exceeding the amount you’ve been approved for). Nerd note: The ability to take out multiple loans against your line of credit is convenient, but planning is crucial. Each time you borrow funds, Kabbage generates a new six- or 12-month term loan with its own fee structure. If you withdraw funds twice, you’ll end up paying fees on both the loans separately. How fast do you get the cash? A direct ACH deposit to your bank. Most banks require a one- to three-day processing period before the funds are available. To compare Kabbage with other lenders, NerdWallet has created a comparison tool of the best small-business loans to meet your needs and goals. We gauged lender trustworthiness, market scope and user experience, among other factors, and arranged them by categories that include your revenue and how long you’ve been in business. To get more information about funding options and compare them for your small business, visit NerdWallet’s tool for small-business loans. For free, personalized answers to questions about financing your business, visit the Small Business section of NerdWallet’s Ask an Advisor page.